The Center for Entrepreneurship and Innovation was established through a generous gift from alumni Mark Wilson and his wife Shelly Wilson. Mr. Mark Wilson serves as Chairman of the Wilberforce University Board of Trustees and is the CEO/Founder of Chime Solutions, Inc. 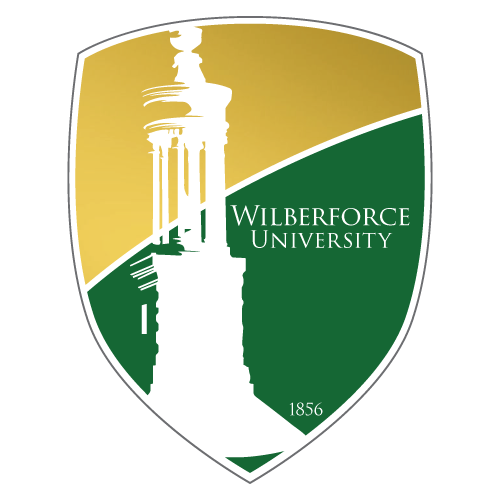 The Wilsons have given their time and talent to Wilberforce University and are the examples we seek for our students. The Wilson’s generosity has positioned The Center as a place where ideas of entrepreneurship and innovation become reality. The Center’s Mission: The mission of The Center is to generate change through entrepreneurship and innovation. The Center’s Structure: The Center is led by the Collaborative Leadership Model. Faculty and Staff oversee the efforts of The Center, while the day to day operations are led by an Executive Director. The Collaborative Leadership Model is charged with identifying opportunities to engage our communities in solution making through entrepreneurship and innovation. 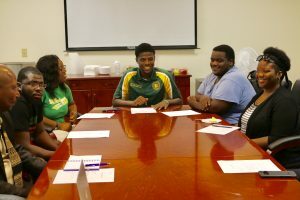 Wilberforce University is using a collaborative leadership model to provide an interdisciplinary approach to the work of The Center. The Team leads the efforts by strategizing, planning, and implementing together. We believe this model will allow for the strongest outcomes and deliverables for The Center. The vision for the Mark and Shelly Wilson Center for Entrepreneurship and Innovation includes focusing on entrepreneurship to create possibilities in the communities our students reside. 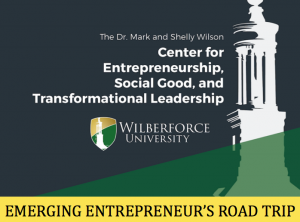 The focus is on transformative practices that inform, empower, and impact communities that Wilberforce University serves… Participants in the efforts of The Center will emerge as change agents through entrepreneurial intentions, shaping a future that is self-reliant, collaborative, and forward-thinking. February 27-28, 2018- Emerging Entreprenuers Learning Series- Social Media Marketing and Branding. January 15, 2018- Martin Luther King Jr. Day of Service- Students engage the community through service! Sign up to interact with a community organization. Transportation will be provided, lunch served following event. The selection process for the 2018-19 Emerging Entrepreneur’s Program and Road Trip is closed, please check back in April 2019 for more about the 2019-20 application process. For more information email thecenter@wilberforce.edu or review the 2018 selection process below. Overview of your Business Idea, Product or Services Offered, Customers or Prospective Customers Sales & Marketing Strategy, Clear vision of what business you’re trying to create, Good ideas of the potential, as well as the issues of the intended business, and your contact information. Step V: If selected, prepare to travel to Atlanta, GA to embark on the Wilberforce University Emerging Entrepreneur’s Road Trip! Please note: A business plan is not required to enter. You will have an opportunity to develop a business plan during the competition. The business submissions must be your own original work and ideas. You must also be currently enrolled at Wilberforce University to participate. Must be an enrolled student who is a Freshman, Sophomore, or Junior.